Woocommerce CSV importer: lets you import products into your site from a CSV file. The plugin uses AJAX and should be able to handle a few thousand products. 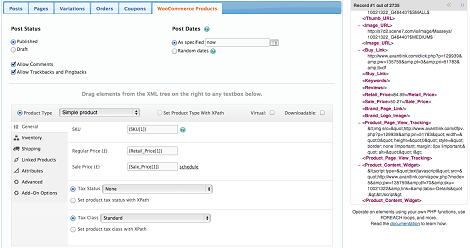 WooCommerce Add-on for WP All Import: lets you drag and drop data from your XML or CSV file into WooCommerce fields to import it. You can import external products too. 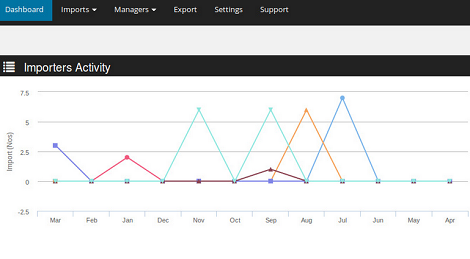 Product CSV Import Suite: lets you import and export products and variations. It can handle text based product data, custom fields, attributes, and more. WordPress Ultimate CSV Importer Pro: this premium plugin can import posts, tags, categories, custom taxonomies, users, and more. It is compatible with Marketpress, WooCommerce, and WP eCommerce. You need to do your homework to make sure you import data into your site the proper way. The above plugins simply save you time completing the process.